VCON, Vancouver’s premier science-fiction, fantasy, and gaming convention is over for another year. I must confess I’m a relative new comer to this wonderful con having only attended the last 6-7 years. The energy, the people, the panels, and of course both the artist and vendor halls have all been something to look forward too each year. Yet, this year in particular, I have noted a disturbing trend, declining attendance with an emphasis on little in the way of new blood. 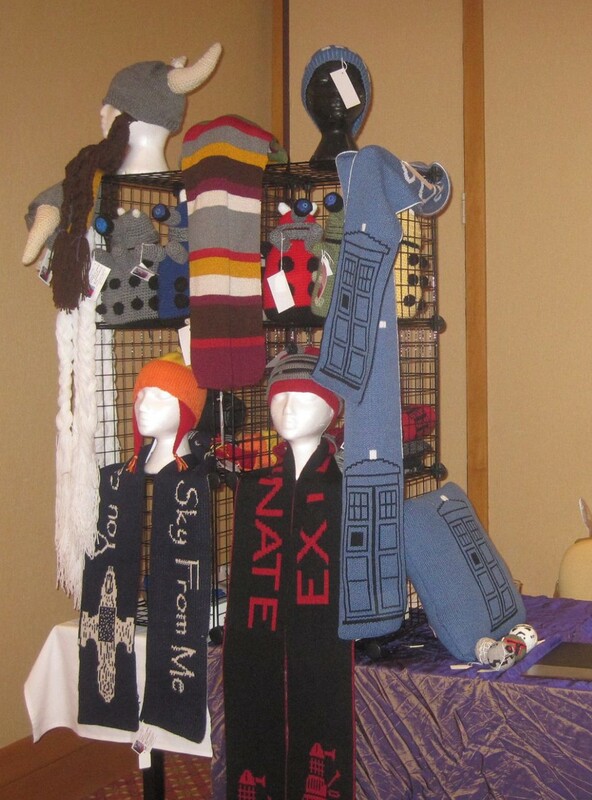 My wife runs the Cat’s Knitting table in the vendor hall as I attend panels. In the first few years she had come home with enough profit to cover all our costs including hotel. This year we chose to commute from home each each day and still she all but chewed her nails over low sales until a last minute surge gave her a slim, and I do mean slim, net take home. Other vendors reported the similar results. We’ve wondered about this a couple of years now. Where are the people? Why isn’t VCON growing at least in proportion to the local population? Some of this can be put down to the growing con scene with big anime and fan expos each year. But all of it? At the same time I’ve noticed how little time the people behind VCON spend on the official channels through Twitter, Facebook, and the VCON blog. I know of no ads and no effort to get the word out through local news outlets designed for that very purpose. As for attendees, I might be the only one who regularly mentions VCON throughout the remainder of the year. (Please prove me wrong). All of which leads to a final question. Is this something those of us who enjoy VCON need to worry about going forward, or is it nothing more than the usual cyclical process most fandoms go through? This entry was posted on 09/10/2015, 20:44 and is filed under Musings, Personal. You can follow any responses to this entry through RSS 2.0. You can leave a response, or trackback from your own site. Hi Ed, You might be right about the lack of advertising and promotion and as the convention gets smaller then more people will show the next year. As I have only been to one convention do you think that the calibre of speakers and workshop themes might have a bearing. Image if a high powered SF star was there or top book seller, gamer – the like. Who is running and organizing the Con, maybe it is the same people year after year, they are burnt out or are struck in a rut with the same old – same old. Maybe the whole organization needs a shake up.